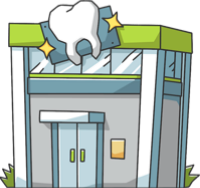 These are the most common insurances accepted by Dentists in Sacramento, CA. My Best Friend over 30 years ago referred my family to the Hinh’s Dentistry. It’s now Jan 6th 2019 and we all continue to receive perfect, caring service from the entire Team. Our 3 grandchildren now attend and they look forward to their exams because they know there is never any pain...kids can also watch a movie during their cleanings. Thank you for all of your caring support! See you soon! Theresa Pascucci Family and Tom Botti Family 2/6/2019. Dental tech + Dr. Stella makes for a first-rate combination.. I have been with Dr. DiTomasso for 20 years. I wouldn't dream of changing dentists. She has always professionally guided me in the right direction when it comes to caring for my teeth and gums, and she has helped me go thru many changes and challenges..
She's the best holistic dentist in Sacramento! And they take Delta Dental. Win-Win!. Great Service you can count on! I was a little overdue for my cleaning/condition and I am so glad I had the courage to go back in. Tracy was my hygienist , she is wonderful and advised me with proper care and not making me feel like a "bad" patient. (Instead I feel like a "new me" ) Thank you again Tracy and Dr. Lott and professional staff!!. Thank you very much. When I got home today, I ate my crunchy sand that I love so much! This does mean a lot. Thanks again great work, Rudy..
Beautiful sacramento office that you must see first-hand!